Upcity, popular portal that connects business-owners with marketing agencies, recognizes Edkent Media through its Excellence Awards, citing the agency to be among the top 1% in the industry. Toronto, Canada – Brand integrity and client satisfaction are the two primary metrics Upcity, renowned online marketplace for digital marketing firms, looks into, when rating agencies for excellence. The 2019 edition of the Excellence Awards saw Upcity scoring over 33,000 agencies to narrow down the top 1% of digital marketing services providers in North America. Upcity, headquartered in Chicago, Illinois, was founded with the vision of helping small- and medium-sized businesses navigate the obscure digital marketing space. Today, Upcity not only functions as a digital marketing directory for companies, but also helps identify and recognize outstanding work, thus offering businesses access to top-tier talent in the sector. The “Upcity Rating” is a scale on which the marketplace rates a digital marketing firm’s ‘recommendability’. An agency is recommended based on the quality of work produced in the past, the professionalism with which services are delivered and the ability to generate confidence amongst its clientele. Consequently, ‘recommendability’ is also the factor that qualifies agencies as potential future marketing partners for businesses. The greater the recommendability rating, the higher the chances are for the company to produce ‘excellent’ work. The 2019 Excellence Awards screening process began in January and was coupled with the launch of the Excellence Research Study. The report features intuitive insights about marketing in North America and the services providers that dot this competitive landscape. An innovative thought-process, a results-driven approach, transparency in communications and reliability are the four key differentiators that set Edkent Media in a league of its own, in the digital marketing space. Over a short lustrum, the company has grown its client base from a few to a smorgasbord of small and medium-sized enterprises across numerous industries. EDKENT® Media has been consistently recognized by a number of online portals that review internet marketing services providers. 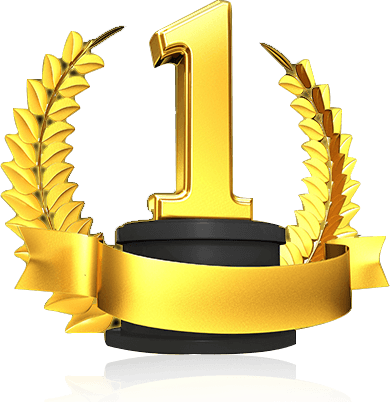 As recently as December 2018, TOPSEO ranked the company “Number 1 Enterprise SEO Service-provider”. What’s the way forward for Edkent Media? Specializing and moving up. The internet and digital marketing company seeks to create subdivisions that concentrate on digital marketing for particular niches. As for moving up, that is all Edkent has been doing since 2014, and, since, there has been no turning back for this customer-focused, driven and dedicated Toronto-based digital marketing team.